Eighteen people yesterday (Thursday) admitted charges of violent disorder following incidents at an illegal rave in Twyford Wood, near Colsterworth. The defendants were among 27 people who appeared before Lincoln Crown Court accused on offences arising out of a rave at Twyford Wood on Sunday, May 24 last year. 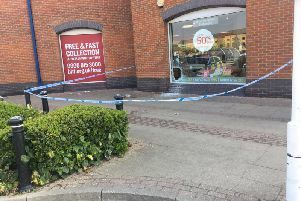 The defendants who admitted violent disorder are Benjamin Moore, 20, of Lowestoft, Suffolk; Joseph Collins, 27, of Lowestoft, Suffolk; Ross Porter, 29, of Blackwater, Camberley; Robert Cooper, 20, of Finchampstead, Berks; Thomas Carling, 18, of Corsham, Wilts; Anthony Davies, 30, of Tonypandy, South Wales; Richard Higgs, 21, of Headingley, Leeds; Chris Willis, 24, of Dunstable, Beds; Maggie-Mae Cross, 20, of Carbrooke, Norfolk; Ashleigh Davies, 34, of Tonypandy, South Wales; Adam Sheen, 30, of Newport, Gwent; Joshua Colman, 21, of Narborough, Norfolk; Scott Lamond, 28, of Roath, Cardiff; Anthony Owens, 19, of Southmead, Bristol; Zachary King, 20, of Lakenheath, Suffolk; James Long, 22, of Ampthill, Beds; Dale Waring, 20, of Outwell, Norfolk; and Dale Hopcroft, 22, of The Maltings, Norfolk. Fabian Gibertoni, 19, of Sheffield, admitted possession of ketamine with intent to supply. Kirsty Wiggins, 24, of Cirencester, also admitted possession of ketamine with intent to supply. They will be sentenced in July along with three other men who admitted violent disorder at an earlier hearing. They are Oliver Rickman-Williams, 23, of Stroud, Gloucs; Michael Carden, 22, of Brimscombe, Gloucs; and Kieran Wilson, 23, of Hoveton, Norfolk. Three other defendants face trial after denying charges. Alan Brown, 31, of Bury St Edmunds, Suffolk, denied an offence of public nuisance by providing a generator for use at the rave. Jonathan Lawson, 25, of Norwich, denied two charges of possession of drugs with intent to supply; Stephen Kelly, 26, of Bristol, denied possession of MDMA with intent to supply. No pleas were taken from four other defendants. Glen More, 23, of Stroud, Gloucs; Benjamin Richardson, 18, of Millfield Road, Metheringham, Lincs; Shea Bruce-Watson, 19, of Glastonbury. Somerset; are all accused of violent disorder. Samuel Stevens, 20, of Chipping Norton, is accused of possessing drugs with intent to supply.